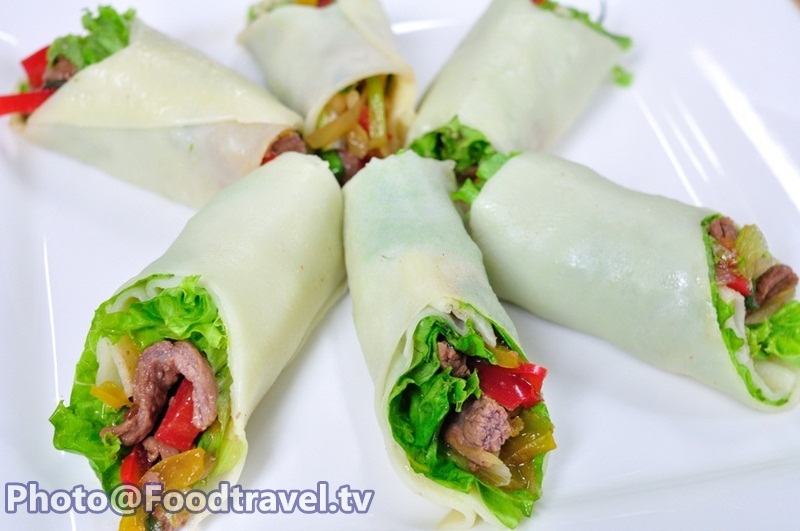 Fried Beef Roll (Pad Nuer Sen Hor Pang) - This menu is made from the fried beef that can eat with Roti , noodle or rice. But this time we will mixed flour, egg and water together. Then warp it by the noodle. 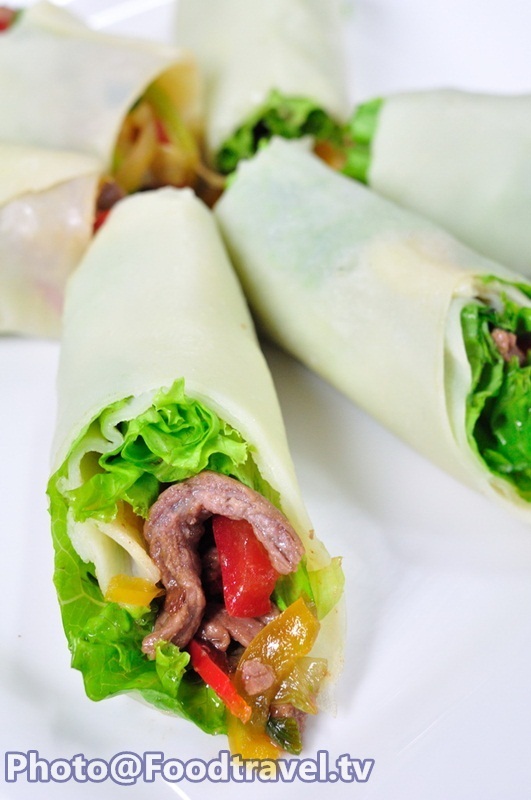 Add the hot pepper sauce for more delicious. 7. 1/2 cup of onion. 1. Mix the eggs and flour together and knead them together. Warm the pan and put a little oil in there. Then fry the mixture for both side make them like circle. 2. 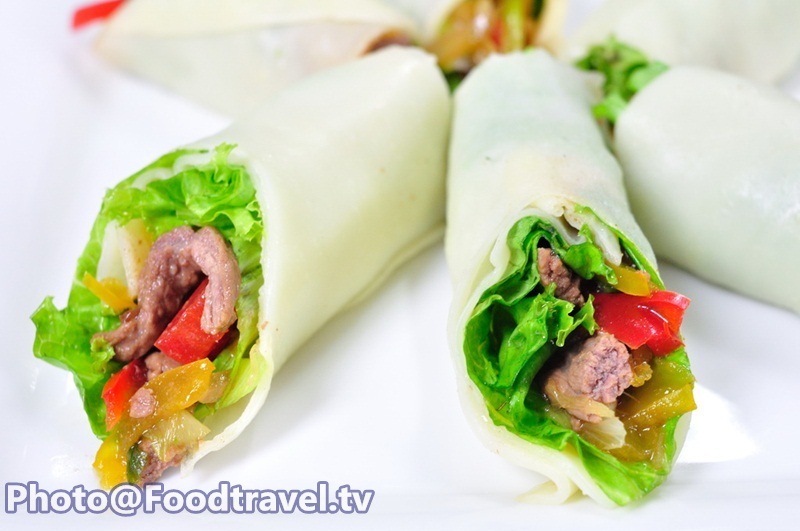 Warm the pan with sesame oil then fry onion , beef ,sweet pepper , spring onion until they done and leave them cool. 3. 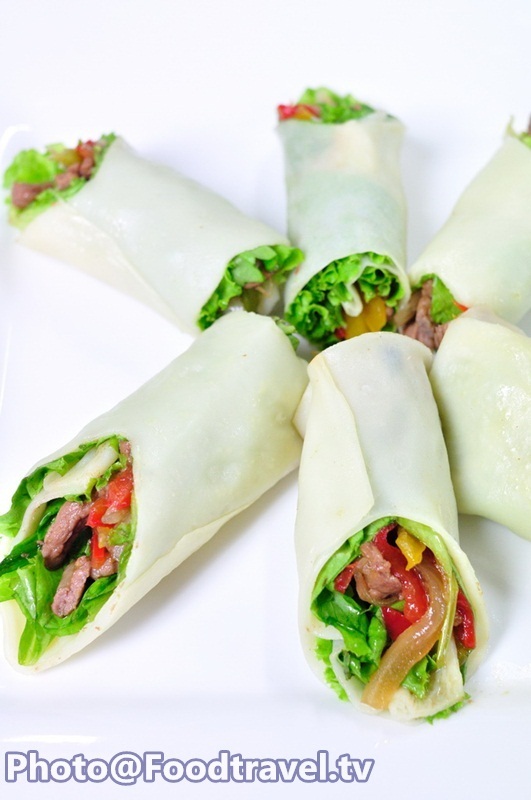 Roll the beef stuff with the flour sheet or eat the fried beef with lettuce and hot sauce.